Around his late 20s, Joe Grant went through what he called a “quarter life crisis.” Raised in Texarkana, AR, Joe had a Bachelor of Business and worked for an insurance company in Atlanta, GA. One day, he picked up a book about physics. “It just set off bells.” With little interest in his current career, he found time to go listen to a lecture about quantum physics in Atlanta, GA and everything just made sense. This is what he wanted to do with his life. Joe joined a one year technical school in Atlanta, GA for Broadcast Electronics for what he felt was one step in the right direction. This move allowed him to balance his education while maintaining a full time job. After he completed the technical program, Joe moved back to Little Rock, AR and got a job with Channel 7 in their engineering department. Over the next six years, he worked at Channel 7 and took six-to-ten hours a semester. 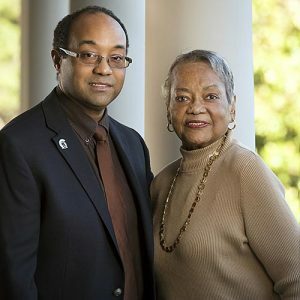 He found out that UA Little Rock was filled with people like him and appreciated the diversity the campus had to offer. UA Little Rock didn’t just offer an education, the university offered a chance at real experience. Dr. Richard M Prior and Dr. Rollefson took a group of students to Notre Dame to work in a nuclear physics lab. These students got to help the professors with real research and development. “Those guys were awesome. The great thing about UALR professors, they took an active interest in all of us,” said Joe. Because of the hands on experience along with the education, he felt pushed, inspired to learn more. His department was able to provide an education with real research experience that prepared students for the workforce or even a graduate program. For his final semester before graduation, he worked as an undergraduate research assistant in the Chemistry Division at Argonne National Laboratory near Chicago, Illinois. Now armed with a solid undergraduate physics education and research experience, and the desire to apply physics in a meaningful way, he entered the specialized Master’s program in Medical physics at The University of Texas M.D. Anderson Cancer Center in Houston, Texas. 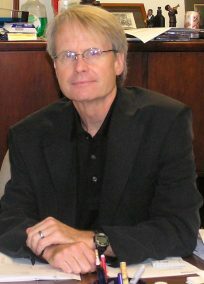 He graduated in 1994 and began his new career at Duke University Medical Center. After a year there, a position for a medical physicist opened at CARTI in Little Rock. He has been at CARTI ever since, now for 22 years. Medical physicists take care of the planning and calibration for prescriptions doctors prescribe for radiation. They also maintain quality assurance by working with the machine for precise doses in delicate areas such as the brain. Aside from the work, the job demands an ongoing education to keep up with the most current literature, new treatment modalities, and findings in the field. To show his continued appreciation for the opportunities that UALR provided him, Joe has frequently provided job shadowing and workshops at CARTI for current UA Little Rock physics students; and he provided input for UA Little Rock professor Alois Adams in the development of an undergraduate medical physics class. Through the years, he has gotten many job offers to leave Little Rock and work at other cancer centers around the country. “I love my home. I don’t know what I would actually gain that I don’t have here.” Joe and his wife Patricia have lived here since 2001. Patricia was a Curator of Exhibits for 15 years at the Historic Arkansas Museum. Among her exhibits, she was also the Project Manager for the permanent exhibit, We Walk in Two Worlds, that features the history and present day stories of the Caddo, Osage, and Quapaw Indian tribes. She was invited to speak about the exhibit’s research and creation at the Smithsonian Institution in Washington DC. Now retired, she does a lot of DIY projects, paintbrushes (narrow and broad), and she is a strong advocate for environmental causes. When they have time together, they spend it with their four cats and one dog enjoying old movies on TCM. One day he hopes to slow down enough to start traveling together and learning from the countries they always talk about. Until then, he enjoys visiting his step son and grandson in Lonoke, AR.